I loved hearing my Grandpa Caple reminisce about traveling the Oregon trail when he was a boy. He also told stories of his dad’s civil war experiences especially his survival of Andersonville Prison. He said his Dad had enlisted at age 16 at the outbreak of the war. Since he was underage his father had fetched him home. When he turned 18 the war was still going and he enlisted again. Apparently, he soon had second thoughts but this time he had to stay. He told me his dad was wanderer always thinking the grass was greener somewhere else, never staying in one place long until his wife put her foot down and refused to move again. Stories of how his Dad had worked with the likes of Buffalo Bill Cody and Wyatt Earp in Dodge city fascinated me. He told me we’d be rich if his dad hadn’t somehow lost his claim on most of what is downtown Spokane. But when I asked where the Caple’s had come from; the only thing he recalled his dad saying was they had come from the south. Once slave owners they had sold the plantation moved north after deciding slavery was wrong. Now I had his father’s, Samuel Hugh Caple’s, service records along with his and his wife’s pension files. What would they tell me? First there was a description of Samuel. At 5 ft. 7 inches he wasn’t a tall man but I bet his dark hair, fair complexion and blue eyes turned a few heads on the girls when he was a young. He had served as a private in the Iowa 5th volunteer Infantry, Company B and later in the Iowa 5th Cavalry. He had enlisted for 3 years on 11 Sept. 1863 in Vicksburgh Mississippi receiving a 100 dollar bounty for enlisting. His unit had taken part in the Battle of Mission Ridge on Nov 24th and 25th of 1863. They had been furloughed to Davenport, Iowa from April 8th to May 7th 1864. He was absent on detached service for Dec. of 1864 and January 1865 working as a teamster since 12/64 which meant he was most likely involved in carrying supplies for the troops. He was mustered out of service on Aug. 11, 1865 in Nashville, TN. 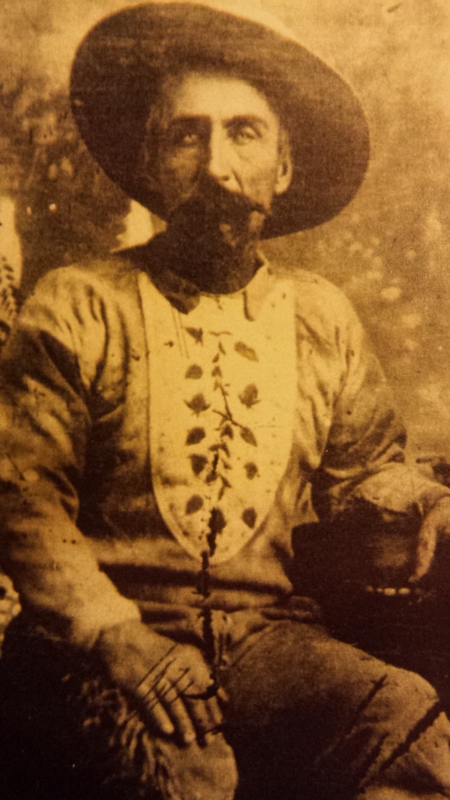 I was told this photo of Samuel Hugh was taken right after the end of the Civil War. Supposedly he had a husky build when he enlisted but as a result of his imprisonment had returned home a much smaller person. He had applied for pension three times. His wife Margaret applied for a widow’s pension after is death. He was born in Mt. Vernon, Ohio on March 28, 1845 to Jacob Caple and Sarah Ann Garey. 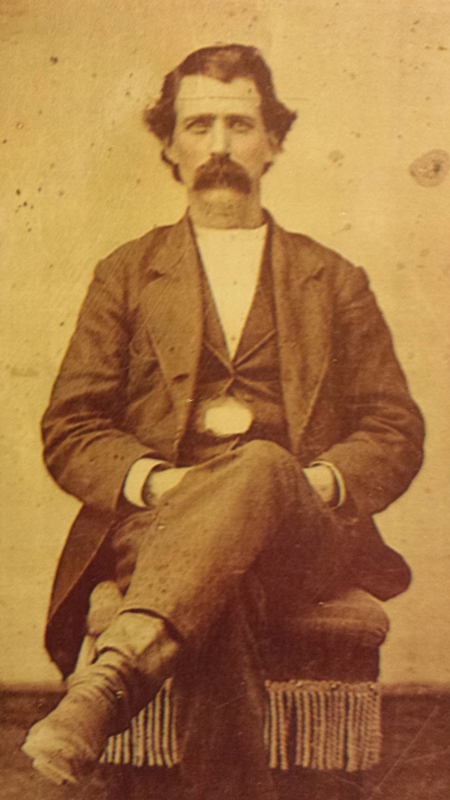 At the time of enlistment he had been living in Monroe, Iowa and lived there afterwards until 1876. He had also lived in Dodge City, Kansas, Puyallup, WA and Oklahoma. His first application for a pension was made in March of 1894. At that time he was living in Caple, Oklahoma. He stated that he was unable to support himself by reason of rheumatism and piles and also heart, spleen and liver complaints. He wrote that he had first aquired spleen and liver complaints March of 1865 in Selma, Alabama, due to exposure. The rheumatism had started in 1873 and he had been troubled by piles or 16 years. This application was witnessed by a W. M. Edwards and Richard B. Quinn. In another document both of these parties swore that they had known Samuel for 25 and 1/3 years as of March 1894. There was a doctor’s avadavidit stating that he suffered from Rhuematism, Hemorroids and chronic endocarditis and enlarged spleen from June of 1895. This application for pension was denied. In 1898 he again applied. In this application he stated that he had married Margaret (Maggie Ragsdale) in Brookline, MO, on Sept. 16, 1877 and had previously been married to Polly A. Caple who had died on June 10, 1876 in Monroe, Iowa. He listed his living children as Milo age 23, Minnie age 30, Samuel age 19, Joe age 14, Roy age 12 and Richard age 8 ( Note: one more child, Lida would be born in 1899). This application was also denied but when reapplied in 1912 it was accepted. In Dec. of 1920 his widow Margaret applied for a widowers pension. Among the papers in this application was a copy of his death certificate. His address was given as 510 16th st. S. E. in Puyallup, WA. His date of birth was verified as being March 28th 1845. He was age 75 years, 8 months and 8 days. It confirmed his place of birth as Mt. Vernon, Ohio and his parents were listed as Joseph Caple b. in Maryland and his mother as Sarah Gery also born in Maryland. The informant for this information was listed as his wife Margaret M. Caple. And who exactly were his parents? Why had they moved from Ohio to Iowa? such an ancestor. But he was named Samuel, could he be an ancestor? grandfather, Samuel Hugh Caple and his father Jacob. 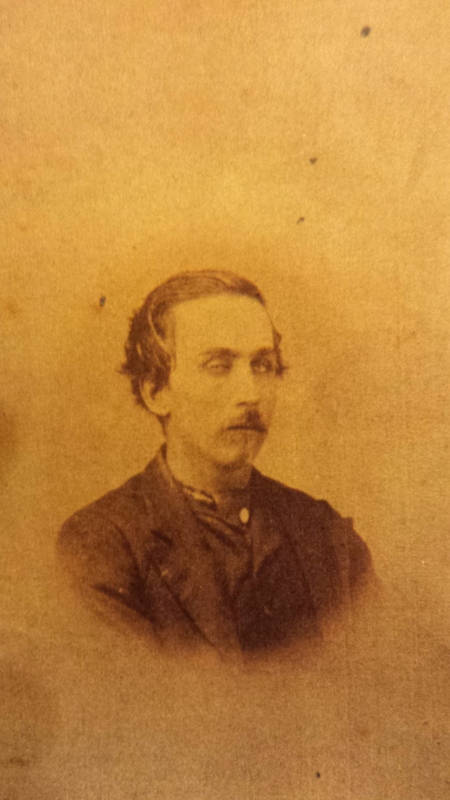 This entry was posted in Uncategorized and tagged Buffloe Bill Cody, Caple, Civil War, Dodge city, family history, genealogy, Iowa, Iowa infantry and Calvary, Margaret Ragsdale, Monroe, Mt. Vernon, Ohio, Puyallup, Wyatt Earp on April 6, 2015 by kwriter13. I pulled the thick packet out of the mailbox – return address National Archives, Washington D.C. The Civil War military and pension records for my great grandfather, Samuel Hugh Caple, had arrived. I crossed my fingers and opened it hoping the information my Dad wanted was within. Growing up both my Dad and I had listened to stories about how his grandfather, Samuel Hugh Caple, had survived being a prisoner in the notorious southerns Civil War prison – Andersonville. My Dad had even spent a day spent a day touring the former prison site. There he learned if he could show documentation of Samuel’s being a prisoner his name would be added to the the list of survivors. Unfortunately the papers from the National Archives did not have the record he desired but it did contain other valuable family information. Other than the civil war stories I never heard tales about my Caple ancestors, except one. My grandfather said the family had once been plantation owners somewhere in the south and had moved north because they didn’t believe in slavery. He didn’t know which state nor had any idea what country they may have come from from originally. Someone said the name sounded German so he thought maybe they had come from Germany. Among the many papers in the packet were affidavits from several people who said they had known Samuel while living in Caple, Oklahoma. I recalled my grandfather mentioning he had lived in Oklahoma for a time while a boy. But he had also said his father was a wanderer and they never lived anywhere long. So where exactly was Caple, Oklahoma? How come I had never heard of it? If my great grandfather had lived there, once upon a time, was this the southern state the family had come from? Wy was it called Caple? Outside of my family I had never even met another Caple. I set out to find the answer. I told myself I’d just find out where Caple was and how it got it’s name. I had no intention of doing more. 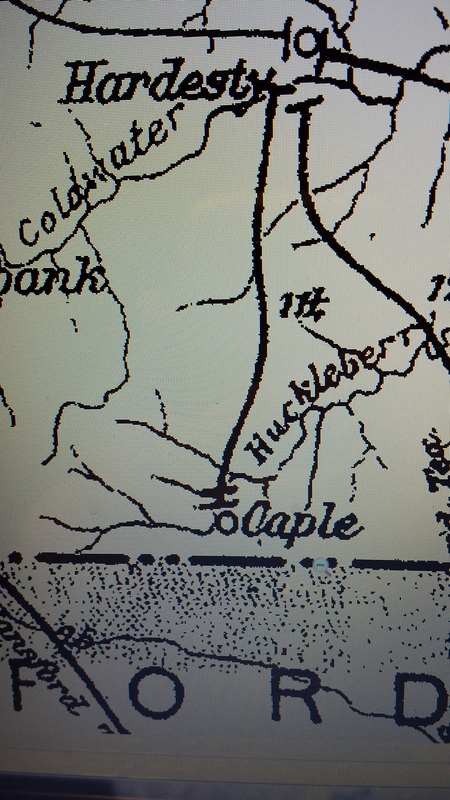 The archive’s papers showed Caple as being in Beaver county, Oklahoma. I looked for it in a current atlas. It wasn’t there but an 1899 Atlas, I had purchased at a yard sale, did have a Caple, Oklahoma. It was in the southern portion off Beaver county (now Texas county), south of Hardesty, near the Texas border. But I still didn’t know why it was named Caple? And what had happened to it? Today a search on the internet would give me the answer but in 1993 other avenues had to be pursued. I needed to learn how to trace my family history and thus began my affliction with the genealogy bug. This entry was posted in Uncategorized and tagged Andersonvill prison, Caple, Civil War, family history, genealogy, Oklahoma, Samuel Hugh Caple on March 30, 2015 by kwriter13.